Welcome to Orlando Florida, The Sunshine State! Most have either visited or have on their agenda to visit sometime in there lifetime. Home of Walt Disney and Mickey Mouse! One of the most magical places on earth for children, and we can thank Mr. Walt Disney. 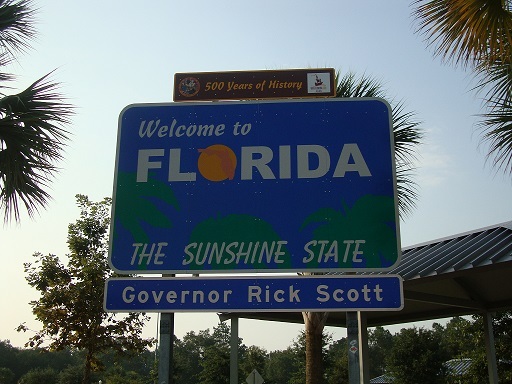 So, you've decided to take your travel trailer on vacation to Orlando Florida, good for you! This is one way to save money on your next trip. The best time to go is September through December. This may be a difficult time for some though, but that time of year is when the snowbirds are coming back to Florida and the vacationers are starting to migrate home. The weather is a just right this time of year too! We all know the worst time is Spring break and Summer! There are blessings for all seasons though, so much to enjoy anytime of the year! There are many different places to camp in and around this area. It depends on if you want to be close to Disney Parks or further away from all the hustle and bustle of the crowds. You can choose from resorts to your basic campgrounds, from $$$$$ to $ prices. This is what's great about vacationing with your travel trailer. Instead of just having one area to choose from you have many options, locations, and or counties to choose from. KOA Kampgrounds: There are many of these to choose from, it just depends on which area you'd like to stay in. Take a look out there to see what fit's your need. KOA would not be our first recommendation, but it's a start for a resort/type place. Check out the charges per person. They do charge extra for children and pets, also for camping wood and amenities; however, the one's that we have visited have always been very nice and helpful. They are pretty good about getting you in at the last minute for an overnight pull off pull off too. Probably the best part of a KOA is that they are everywhere and you can find them easily, especially when you are traveling at night and you need a place to pull off. Private campgrounds are one of the best places to stay. If you happen to stay there more than once, the owners remember you time after time; which is really nice. Not only that, but it's the pleasure of giving the owners business and getting to know them, which is the best scenario of them. Resorts are always a good place, especially for this area. Most resorts offer a nice pool and leisure activities to attend, but tend to be more costly. Disney's Fort Wilderness Resort is one resort that offers four different types of campsites for each particular type of travel trailer or tent. They range in price from $53.00 up to $92.00 per night, this is excluding the tax. Each campsite offers privacy, water, cable television, electrical hookups, picnic table, and a charcoal grill. Most include sewer hookup, but would recommend to make reservations if this is something that you would require. As far as recreation is concerned they offer swimming, horseback riding, archery, and canoeing. These are just a few of the recreational activities.